On an unremarkable corner in the small town of Jeannette, PA sits a small, easily missed building. There is nothing about it that indicates it to be anything beyond a small aging garage from a bygone era. The building displays nothing to the outside world that would offer a clue that it houses a unique, albeit small piece of american history. Hi... I'm Tom Jensen Jr. and I own this remarkable little treasure. I'll be your guide as you begin this unique visual journey. For years I was unaware of the growing curiosity that our little factory has been generating. We've never made a secret of our use of old world technology and specilized hand made tooling, but we quite honestly never thought anyone would want to see what we've always considered to be far too humble a place to share. Recently a small public television production company asked to visit with us and to share our story within the Pittsburgh vewing area. The show aired on a local public access channel and to my surprise, it created a huge response and an astounding outpouring of support for our small company. We immediately began to get requests for visits. We love our customers dearly and the hardest thing we could ever do would be to disappoint even one of you. The problem is that we are so small and so compactly configured, that additional foot traffic can quickly bring things to a muddled halt. In order to try and strike a balance, I've asked our web master to put together this "Virtual Jensen Factory Tour" to share our unique little world of steam with you. Thank you for your interest in our products, our company and for all the years of support you've given us. We're more than thankful for our most important assets... you our customers. And now turn back the pages of time and step into a bit of living history. Without good people no company can survive, especially for 85 years. We are lucky to have always had the very best people working on the Jensen Steam Team. Their efforts are what makes the whole process work at all. Add in as much as 40 years of hands on experience, many of which were spent working directly with Tom Jensen Sr, and you have a unique set of skills and real love for what they do. A Jensen Steam Engine is born from raw materials such as brass tubing, bar stock and a whole arsenal of small hardware like screws, nuts, rivets, mica sheets and copper wire...lots of wire. Each piece is hand machined, formed and assembled, from scratch, right here on the factory floor. From cutting the boiler tubes with our unique interior pipe cutter, to hand wiring the specialized heaters, to creating our own magnets for the signature Jensen generators it's all done in house. Our castings are made for us by a foundry we've used for many years and all the heavy painting is contracted out for safety considerations. We also have our parts plated by an outside source. As you can begin to see, there are many steps in the creation of a Jensen Steam Engine. As you go further into this tour, it will slowly become obvious that not just anyone could walk onto the factory floor and build a Jensen Steam Engine. It would take several years just to become familiar with each tool and a couple of more to learn in what order to use them.... but I digress. Let's move on down the line and observe more of the process. As one walks through the shop floor, several things become apparent. The first is that, for a machine shop, the place is spotlessly clean. No metal shavings are to be found on the floors, everything has a place and it is there waiting to be used. As you watch the work flow, you begin to realize that 85 years of refinements are right before your eyes. The placement of things has both ryhme and reason, making things easily accessable when and where they are needed. Nothing is wasted, right down to the brass turnings which are stored away for recycling. We did this for many years before it was even considered the right thing. Everywhere one looks there all sorts of specialized tools on the shelves. 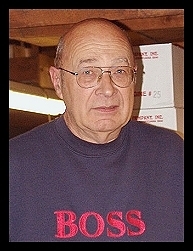 Everything from heavy press tools and dies right down to hand tools and jigs were designed and built by Tom Jensen Sr. He was known to visualize whole tool designs in his head and then fabricate them in as little as a day or two, from raw metal stock, as if he'd taken months to design them. He never seemed to understand why everyone couldn't easily do what he did. 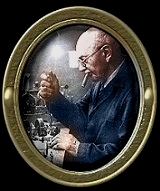 85 years later we still use the very tools he created in our daily production and they still work just as well as the day he finished them. While Andy is usually busy in the machining arena, Tom Guy is in charge of things in the assembly area. He is assisted by Dorita when she isn't taking orders, packing orders for shipment, communicating with Steve and generally keeping everyone in the shop straight. This is where things begin to come together to create a finished Jensen Steam Engine. Everything here is geared to producing the highest quality most durable product possible. When Tom and Dorita are finished with an engine, you can bet it's the best product available anywhere. After all, they've put just a bit of themselves into each one. As you can begin to see, producing a Jensen Steam Engine is an intricate and intense labor of love. We could probably save time and cut costs by having things computer machined, but we feel we would lose something extremely important in the process. In short, the results would just not be a true hands on "Jensen". We prefer to make a few less engines and maintain the personal touch that made Tom Jensen Sr.'s engines the most dependable and durable toy steam engines ever built. As we complete this shared journey, I hope you've enjoyed a small peek into our little world of steam. I also hope we've managed to convey at least some small sense of our love for what we do and that the experience has been, at the very least, educational. It has certainly been our pleasure to share it with you.